Asthma is a disease affecting the airways that carry air to and from your lungs. 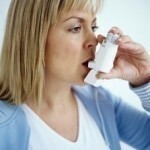 People who suffer from this chronic condition (long-lasting or recurrent) are said to be asthmatic. The inside walls of an asthmatic’s airways are swollen or inflamed. This swelling or inflammation makes the airways extremely sensitive to irritations and increases your susceptibility to an allergic reaction. Our bodies need oxygen from the air we breathe in order for our cells to do their work. When we breathe in air containing oxygen, it enters through the mouth or nose, and descends through the windpipe, to tubes called the bronchi. The bronchi branch out into each lung where oxygen is picked up by passing blood. The blood then carries the oxygen throughout the body. For a variety of reasons, what happens during an asthma episode is that the bronchial tubes become narrow, or even blocked. As a result, air can’t get in or out of the lungs easily, and the child begins to breathe heavily, wheeze or cough. The condition when bronchi are narrowed by squeezing is called “Bronchoconstriction.” This occurs when muscles, wrapped around the bronchi like a series of elastic bands, tighten and restrict the passage of air. It’s normal for these muscles to occasionally close the airway. But in asthmatics these muscles sometimes overreact, become twitchy and constrict or block the bronchi. For many years, bronchoconstriction was thought to be the main cause of asthma. 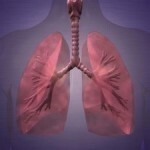 More recently, we’ve become aware of another problem, Bronchial Inflammation. This occurs when the walls of the bronchi swell up and produce mucus, in reaction to some sort of irritation. 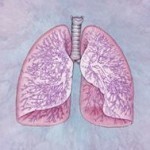 It’s normal for the bronchi to produce mucus in order to trap breathed-in irritants, and protect the lungs. But some asthmatics can produce an overabundance of mucus, and the bronchi can become chronically inflamed, resulting in blocked airways and asthmatic symptoms. So there are two possible conditions associated with an asthmatic’s airways, bronchoconstriction and bronchial inflammation. In fact it is widely believed that the more an airway is inflamed, the more likely it is that the bronchial muscles will constrict.